High quality layered digital print in a 8x8 inch wooden box frame. 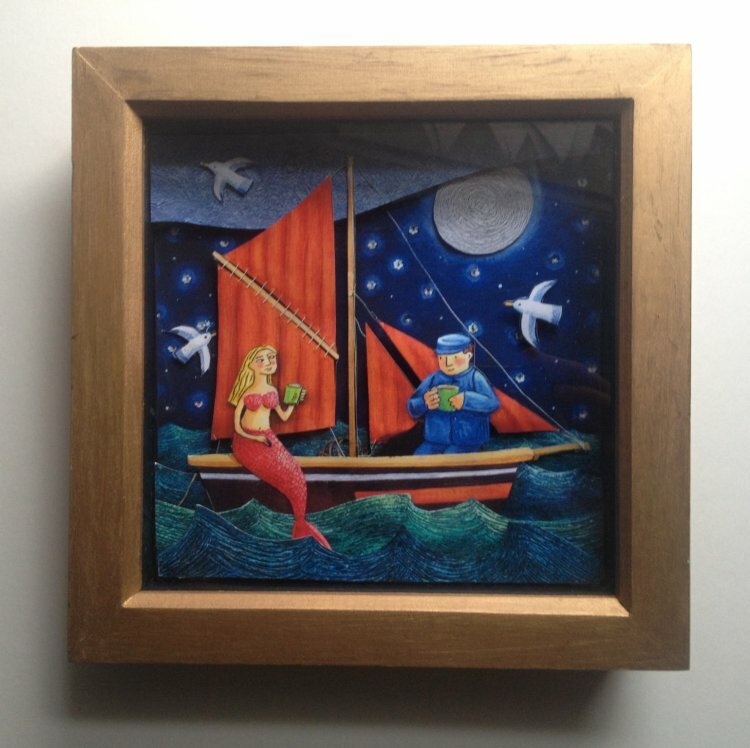 This Fisherman is in love with the mermaid who sometimes comes to share a tea break on the waves. There's just one thing though; she is a defender of all the fish in the sea. Can their love survive?